Your own digital record of all your key healthcare information including your current medications, medical conditions and allergy information. It can help you provide a summary of your medical history when you see a health professional either at home or abroad, whilst allowing you to share information with trusted family members and carers to support your care, or the care of others. Have you ever forgotten to take your medication, or do you care for a family member who doesn’t always remember to take important medication? 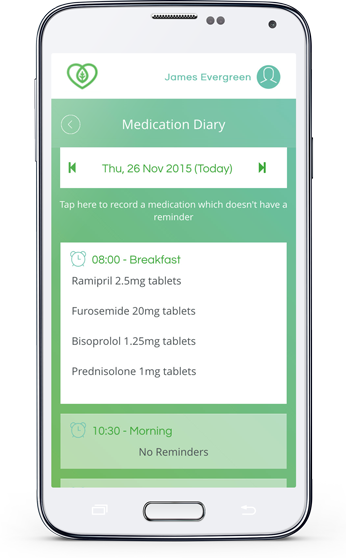 The Evergreen Life Medication Reminders tool helps you to set up simple medication reminders and provides a Medication Diary which provides a complete history of all medication taken. 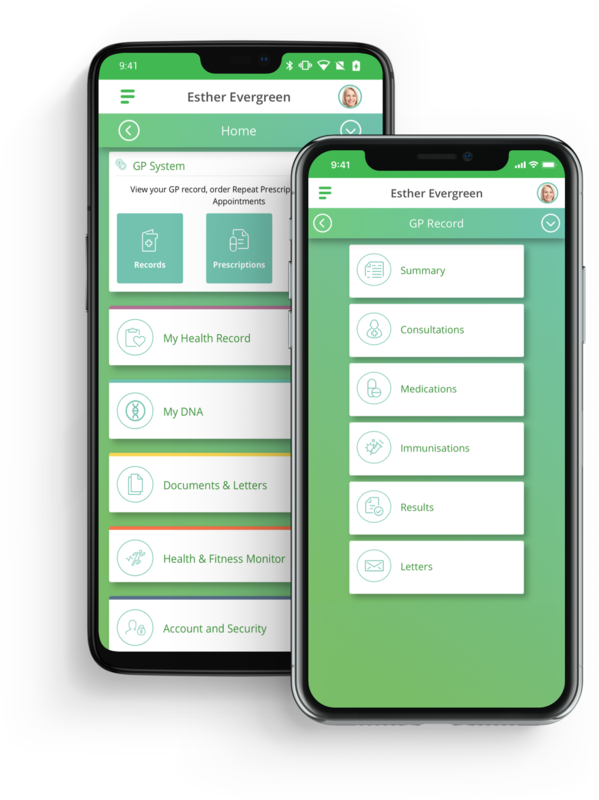 The Evergreen Life App gives you access to your GP held health record and allows it to integrate with your personal health record meaning you and your doctor get the best of both worlds. You can access your GP held health record, view test results, book appointments and order repeat prescriptions. 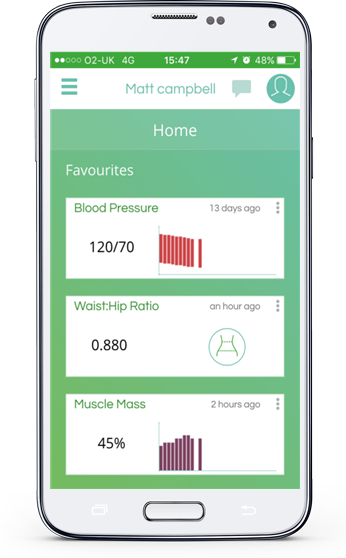 Whether you have Asthma and need to record your Peak Expiratory Flow measurements, or you have Diabetes and regularly record your Blood Glucose levels, or you monitor your Body Fat and Muscle Mass % at the Gym, the Health & Fitness Monitoring tool allows you to record and monitor a wide range of physiological results. The Evergreen Life Document & Letters tool enables you to digitally store all of your health related documents from appointment cards, referral letters, and information leaflets to discharge letters, scan reports and test results. This gives you the ability to see all of your health and wellbeing documentation at the touch of a button, as and when you need it and even share it with your carers and health providers. Do you know which vaccinations you or a loved one has had or needs to have in the coming months or years? 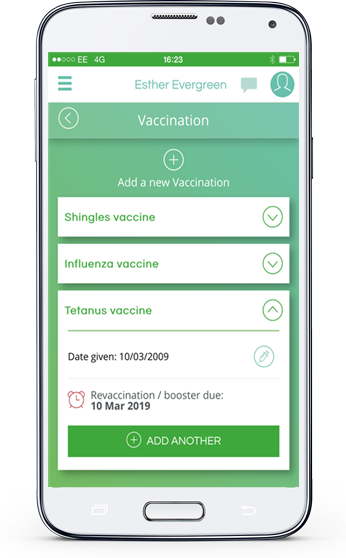 The vaccination tool allows you to enter all your vaccinations into your personal health record and can remind you when your booster or re-vaccinations are due. 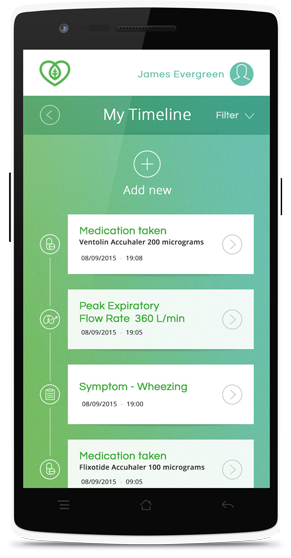 Whether you need to know that your seasonal flu vaccination is due or you are jetting off to exotic climes let the Evergreen Life app help you keep track. Learn how your genetics affect your health and fitness through the DNA Profile test service. Choose from our unique range of DNA tests that give you unprecedented insights into your health and fitness and can help you understand amongst other things, the best forms of exercise or diet for you personally. The Evergreen Life Timeline gives you a complete historical picture of your health and fitness. Whether it’s your most recent blood pressure reading, when you started on antihypertensive medication, how often you take your inhalers, or how often you experience migraine symptoms, it is all available on the Timeline. The information that you record in your Personal Health Record is yours. You own it and you are in control of it. At your discretion, Share and Care enables you to share information with trusted healthcare providers, loved ones or family members in order to support you in receiving the health and care you want. 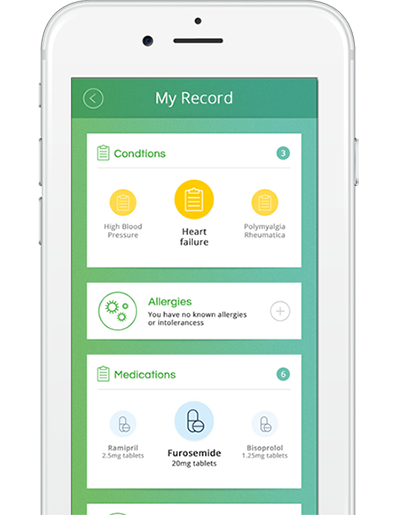 Download our Personal Health Record app today, and start taking control. Download your GP Record New! If you want to use our desktop version, you can login or sign up.